The fitness test is comprehensive in that it evaluates all essential components of physical fitness. The physical testing requires about 45 minutes to complete, though you should allow an additional 15 minutes to include paperwork. 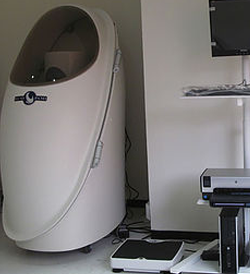 The BOD POD is an Air Displacement Plethysmograph (ADP) that uses whole body densitometry to determine body composition (fat vs. lean). 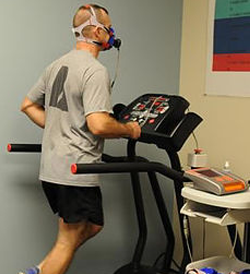 The Resting Metabolic Rate test (RMR) determines the amount of energy (calories) your body is using at rest. 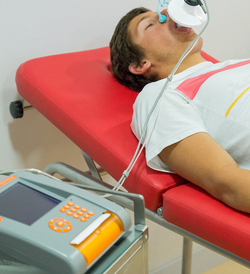 VO2 max, or maximal oxygen uptake, is one factor that can determine an athlete's capacity to perform sustained exercise and is linked to aerobic endurance.